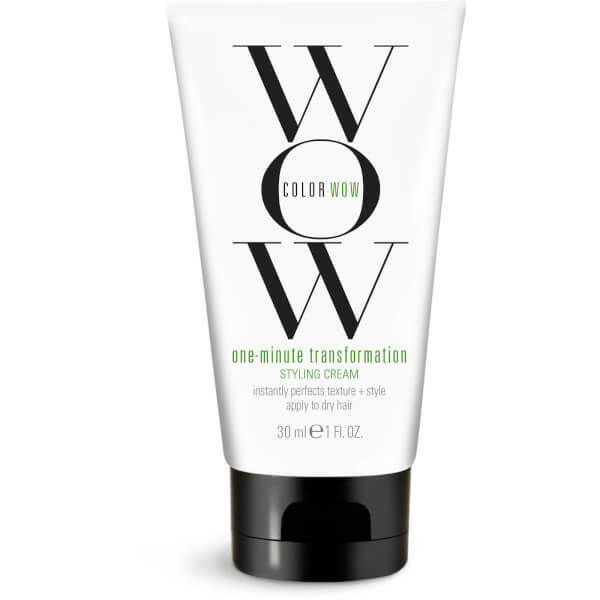 Take control of your hair with Color WOW's One Minute Transformation, a non-greasy styling cream that works to smooth, refine and moisturise dry, damaged-looking hair. Designed to keep unruly frizz at bay and instantly perfect and refine hair's texture, the waxy cream expertly hydrates and revives to enhance moisture and shine. Dry, damaged hair appears smoother, polished and transformed into healthy-looking locks. Apply a small amount to dry hair with hands and brush through for a glossy, polished finish.